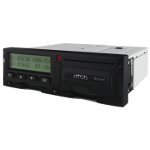 Atol Drive 5 is a digital tachograph solution that meets the regulatory requirements brought about by the Russian tachograph mandate, and the AETR requirements in the EU. 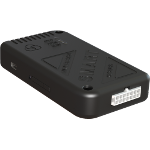 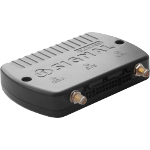 Atol Drive 5 is based on a proven tachograph platform which could work with both digital and analogue speed sensors. 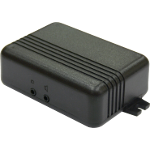 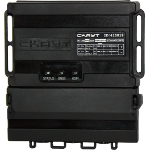 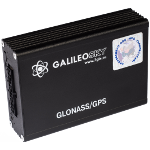 The device is absolutely compatible with onboard truck and trailer systems of national and foreign OEMs. 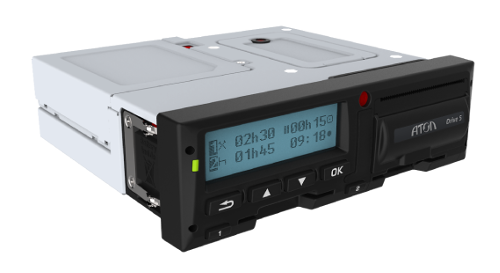 The key feature of Atol Drive 5 is the opportunity to create integrated solutions based on the tachograph platform Drive 5. 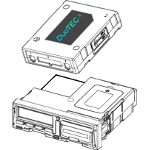 The additional telematics module could be found at the compartment for additional module setting. 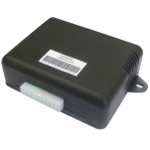 Moreover tachograph Drive 5 is fully integrated with Wialon Hosting.